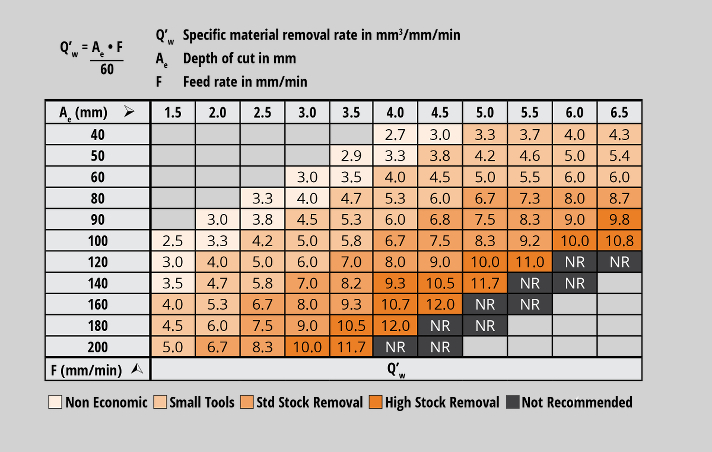 Toolgal iQ wheels can generate the highest material removal rates possible. To maximize the Q’w, please follow the recommendations in this chart. You’ll also find that these figures are in line with the material removal rates claimed for the finest wheels from Norton, Winter, and other world-class providers.